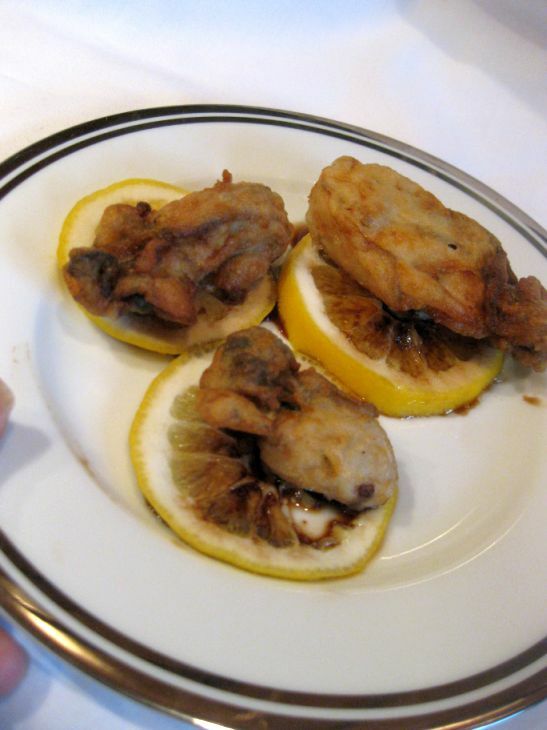 Oysters are ideal for frying! Their soft texture remains creamy on the inside while they turn crisp on the outside. 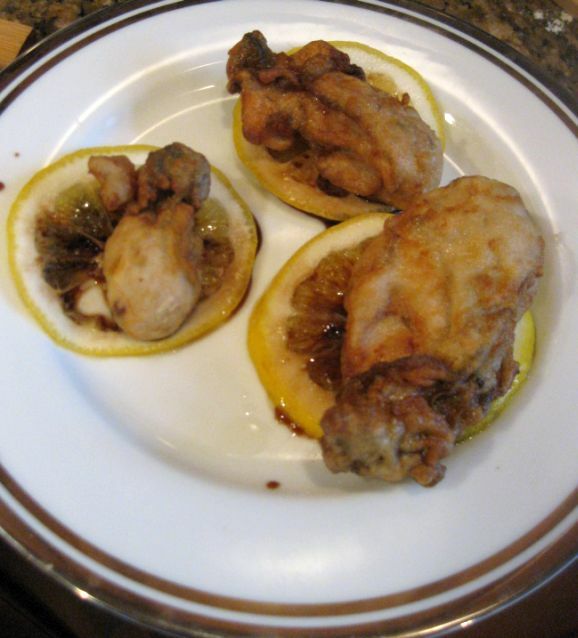 Here I am pairing them with a thin slice of lemon, the perfect complement to any fried seafood and then I pour a bit of balsamic vinegar on top of the lemon which adds both sweet and sour notes. 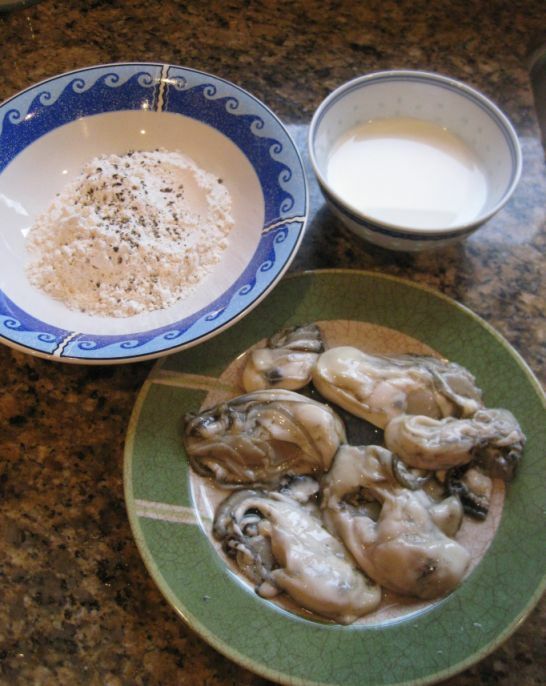 Buy large oysters for this dish that are already shucked and come in a jar which you can find at any Asian groceries store and they are usually pretty plum and fresh. 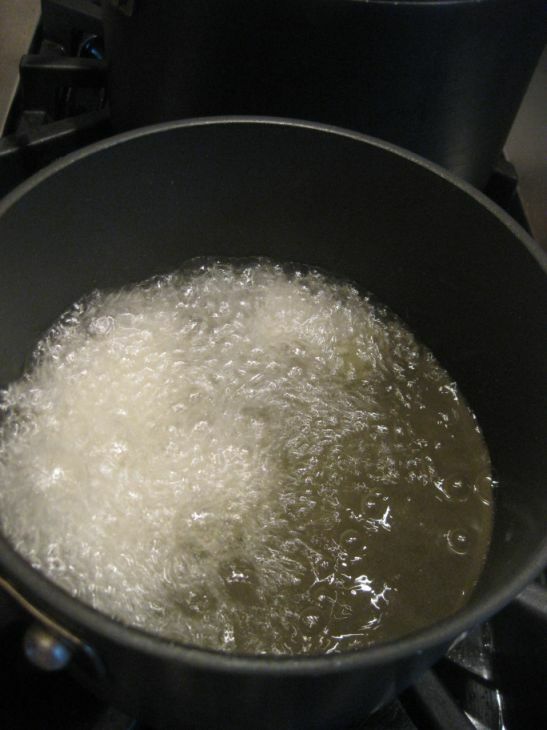 This dish is so easy to put together and it is so fast to prepare. 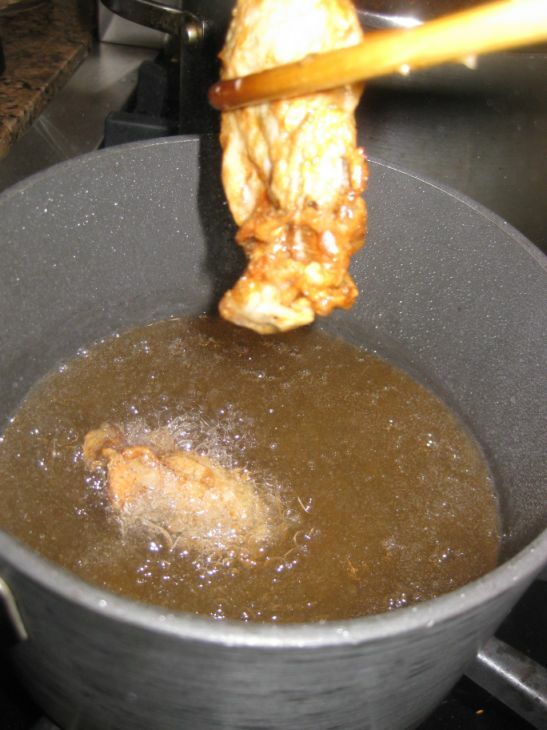 They are really good when they are served right away once they fried. The breading is crispy and the inside is soft and creamy. 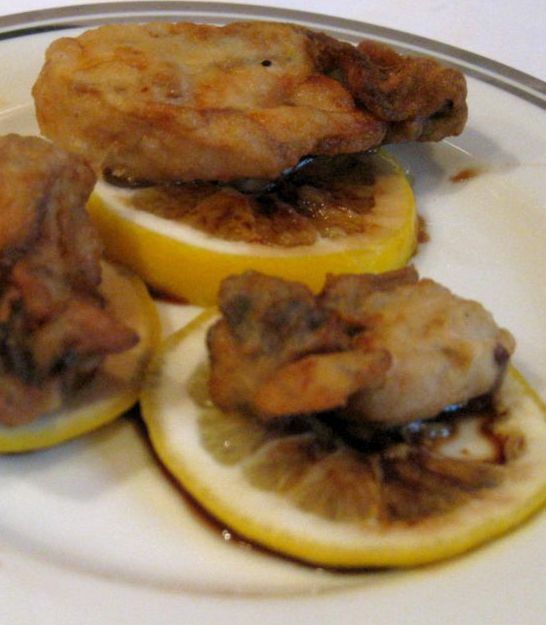 The lemon and balsamic vinegar goes really well with the fried oysters. 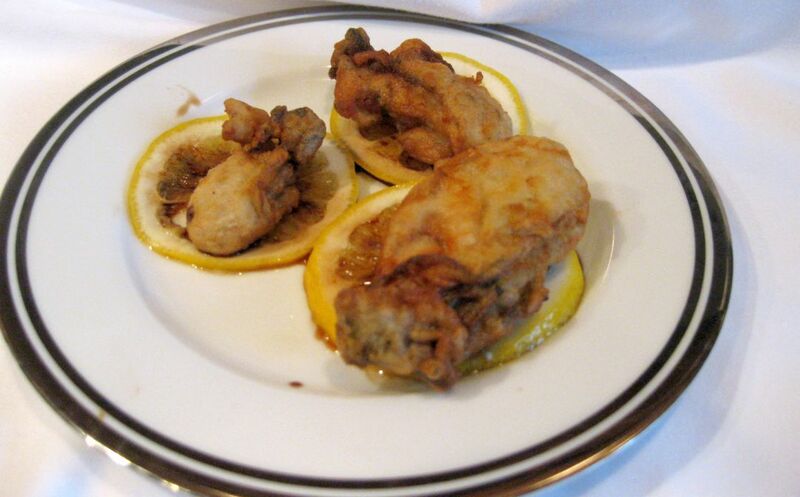 Close look at the fried oysters. Put the milk and flour in separate bowls. 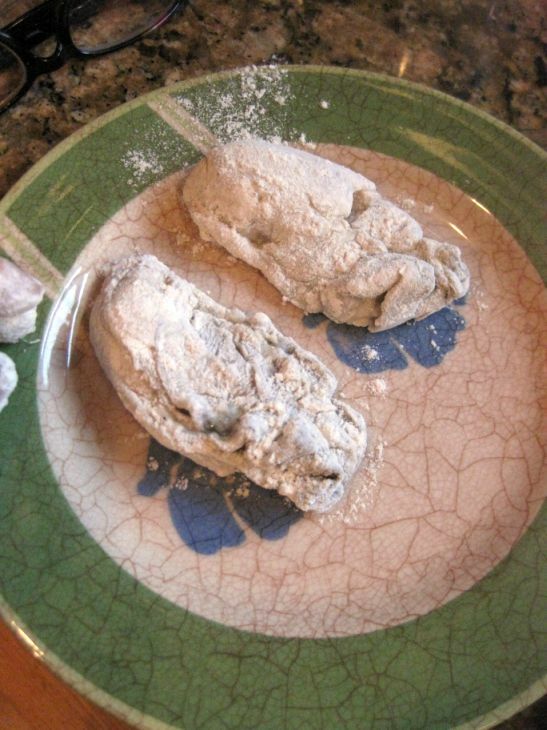 Season the flour with salt and pepper. 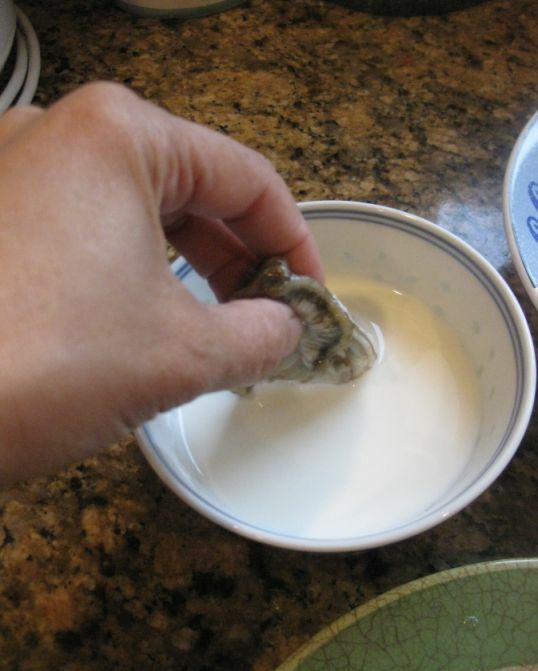 Dip each oyster into the milk..
and then into the seasoned flour. 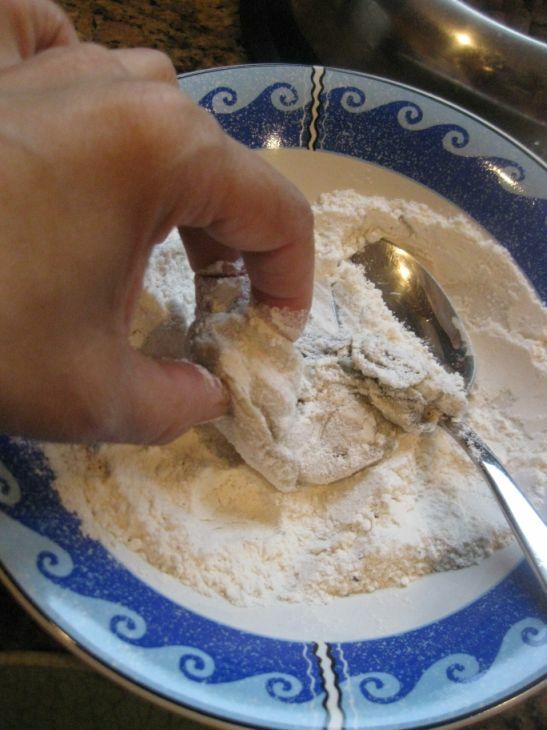 Shake off any excess flour and put them on a plate. Remove the oysters from the pan once they are nicely browned and put them on a plate lined with paper towels to drain the oil. Sprinkle a bit of salt on top. 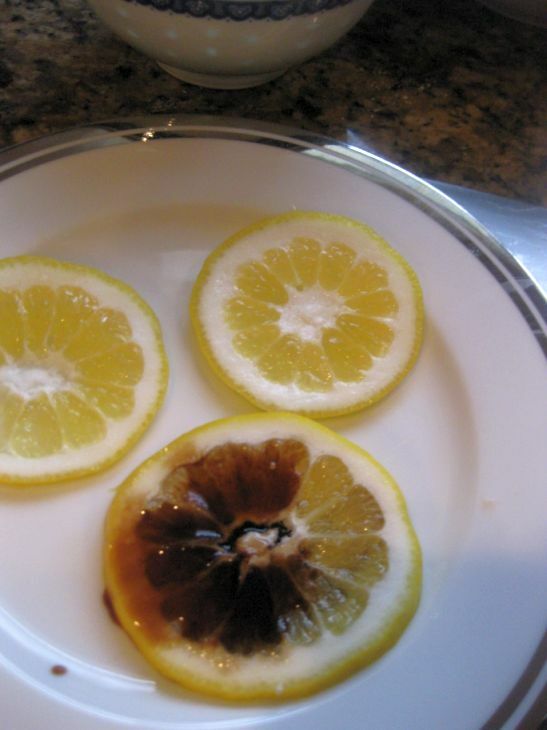 Cut the lemon into thinly slice and pour a bit of balsamic vinegar on top of the lemon. 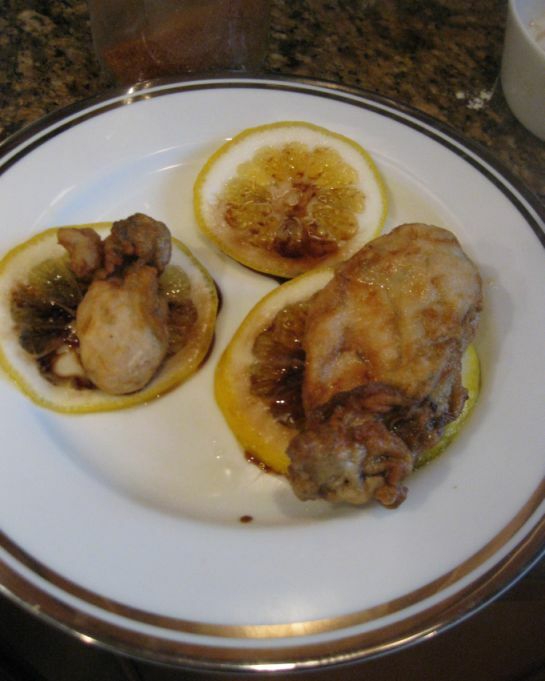 Lightly crush the lemon with a fork. 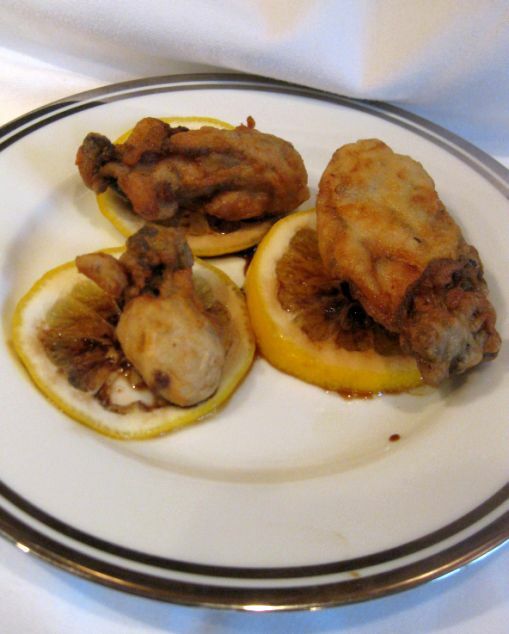 Place 1 fried oyster on each slide of lemon and serve immediately so that the breading of the oyster absorb the lemon and vinegar.